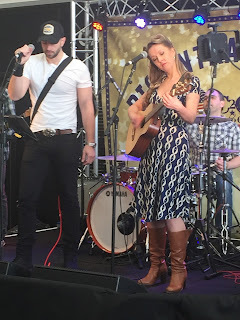 Three Chords and the Truth UK: Country to Country Festival Pop Up Stages - The O2 Arena, London. Friday 11th March to Sunday 13th March 2016. Country to Country Festival Pop Up Stages - The O2 Arena, London. Friday 11th March to Sunday 13th March 2016. 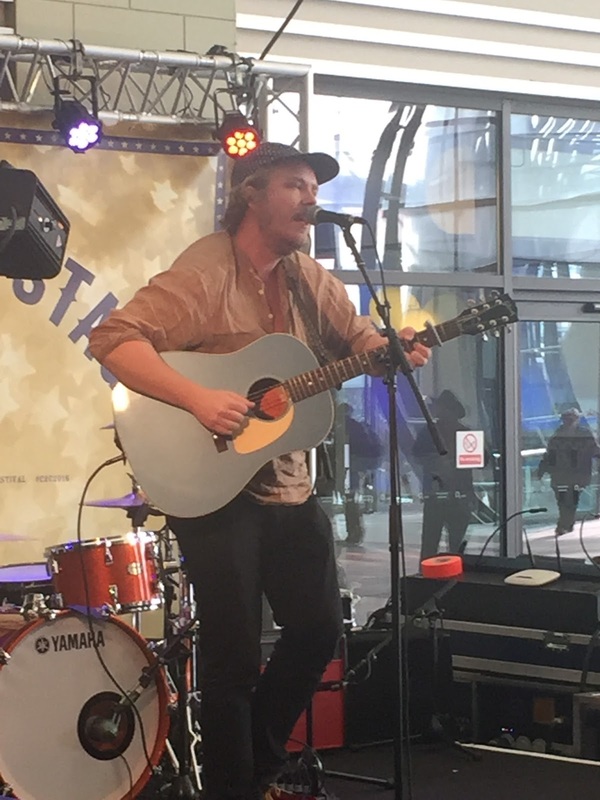 A popular feature of the Country to Country Festival is the pop up stages that frequent the outer ring of the O2 Arena over the course of the weekend. Each year these continue to expand to the extent where the periphery has been extended to ticketed events, converted venues and special promotions, in addition to the core free stages. With this year’s festival growing from two to three days, there was a mini explosion of artists from both sides of the Atlantic happy to see their application turn into an invitation to perform. Another development from attending the event for the first two years is that the alternative schedule progresses well into the evening, thus creating a viable choice for those not wanting to invest in the pricey arena shows. Inevitably any individual can only see a finite number of acts and the pre-festival dilemma is whether to play safe with artists you know or take a gamble of seeking out new talent. For many the best of both these worlds is usually the case and 2016 was no exception for me. Between arriving at the festival on Friday afternoon and entering the arena for the final time almost exactly 48 hours later, fifteen artists had their sets intensely watched, periodically punctuated by the odd slightly over priced liquid refreshment. While there is a tendency for many artists from the UK country pop wing to dominate the fringes, it doesn’t take too much digging to find something slightly alternative. Two artists who are well known to me played thirty minute sets on the Big Entrance Stage on Saturday and provided a timely reminder of the style which acts as my bread and butter for fifty one weekends of the year. Ben Folke Thomas, minus his band on this occasion, was probably the only artist all the weekend to introduce a song based on Swedish war time resistance and it was re-assuring to be in familiar engaging song territory. 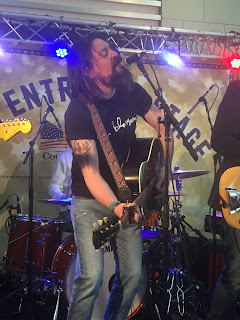 Later in the afternoon on the same stage, Pete Gow introduced his band Case Hardin as probably the ‘least country act you’ll see all weekend’. Depending on your interpretation, this was far from the case as modern trends re-define the genre in populist terms. A decision was made on Friday afternoon to catch two artists play extended sets back to back in the Brooklyn Bowl. Part of the logic to spending nearly two hours in a venue within a venue was to get more of a gig feel to the day after spending a near fortune to see the main show that evening. It was certainly an upbeat start to my festival with Jess and the Bandits bounding onto the stage with gusty vigour and keeping up the pace for forty five minutes. The more established US country artist Phil Vassar entered the stage upon Jess’s departure and played an entertaining set to seemingly many fans. Possibly unique to this festival was Phil playing country rock ‘n’ roll piano during the entirety of his time on stage and presenting many songs that edged up towards the upper echelons of the country music charts in his heyday. While staying on the Friday evening, two further acts were caught just before entering the main arena and both were known to me to differing extents. All the way from Northern Ireland, The Rising played a rousing set of predominately rock infused music and came across as an impressive live act with plenty of passionate spirit within a line-up containing the usual drums, keys and guitars. Emma Stevens easily won the battle between her and Thomas Rhett for my attention and she carried on as seen twice before with a breezy batch of catchy folk pop songs. Maybe brave to try a little bluegrass in its infancy, but Emma is forever ‘moving’ when venturing into the territory of the songs that frame her reason for playing. Jumping ahead a little and onto Sunday afternoon where the Town Square Stage housed two American artists back to back who have created quite a stir on this current visit to our country. 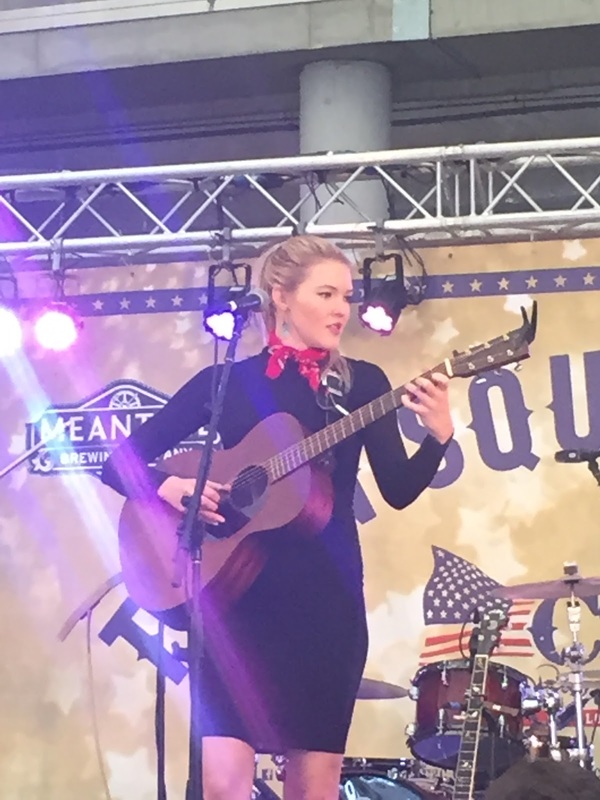 Moving out of her family shadow is always going to be a challenge for Ashley Campbell, but she showed the genes haven’t gone astray with a smart ear for a tune and the musical expertise heading in the banjo direction. Her set was an enticing introduction with a view to checking out her material sometime in the near future. 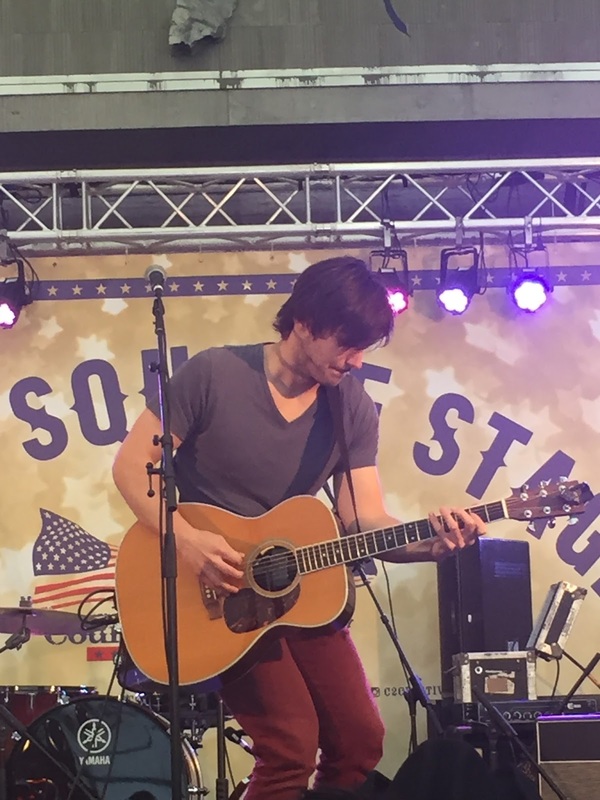 A similar feeling was reserved for Charlie Worsham who lit up a stage surrounded by many of your usual festival stores with an exalted performance of charismatic song and guitar presentation. The potential is there, with the next stage to check out how this talent is being channelled in the recording world. 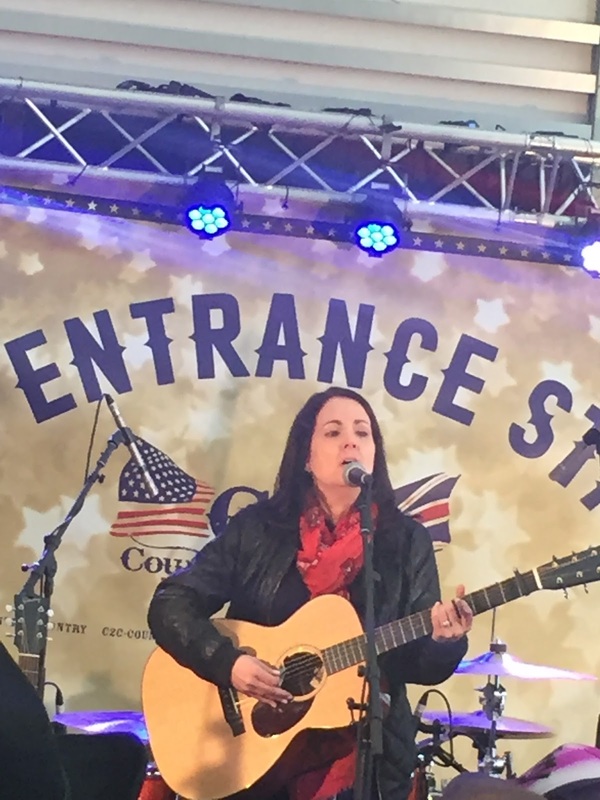 Although Lori McKenna does occasionally venture into the recording world, she earns her crust in the song writing circles and does exceedingly well. A large crowd assembled around the Big Entrance Stage to hang onto the words of Lori in more than one way. It was interesting to learn of both her background and those of her songs which have proved rather successful in their commercial state. 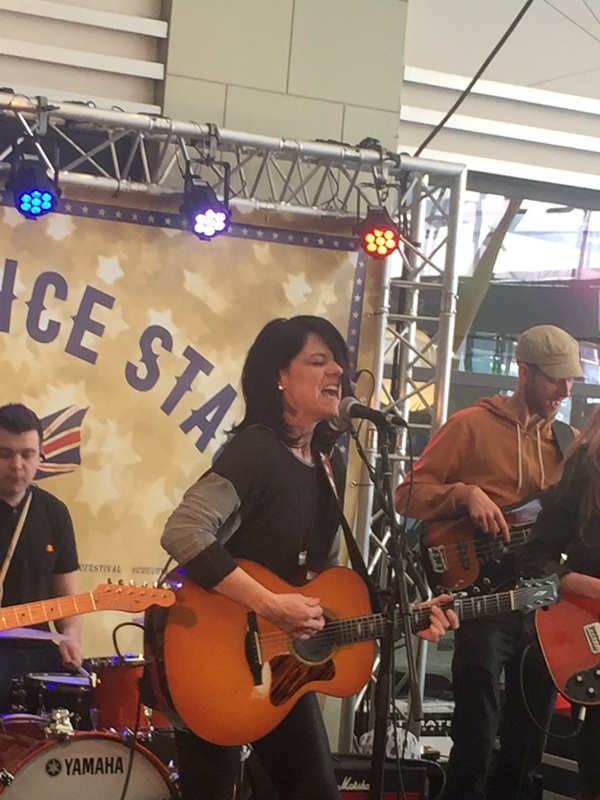 Lori hails from the north east part of the US in contrast to Texas Martha and the House of Twang, who you’ve guessed come from way out west. In fact Martha finds the European country music circuit quite favourable in the summer months basing herself in France and she possesses an authentic honky tonk sound which is synonymous with the Lone Star State. Completing an American trilogy on a stage which in my opinion had a better sound quality than its larger Town Square counterpart, was the forever feisty Sonia Leigh. Backed by a new and impressive band, Sonia was fired up to play some rock ‘n’ roll and crikey her voice gets more delightfully bruised and harsh with each listen. She continues to evolve as the real deal with absolutely nothing fake about her act. The finishing line is getting closer and let’s get there with four home grown acts which embody the very essence of this being a festival bringing the music of two countries together. Make that three when on Saturday morning the Big Entrance Stage opened up with the wonderful Aussie, Caddy Cooper making a duet appearance alongside the billed Paul Carella. Song names have been deliberately omitted from this feature, but it would be remiss to not casually refer to the duet featured on Caddy’s latest album that sounded blissful upon hearing it live for the first time. That wraps up the Big Entrance acts caught live, leaving just three more which played the Town Square Stage. Red Sky July proved a big hit with me with the release of their second album two years ago and this appearance at the O2 was very much focussed on their upcoming follow up release. The trio of Aly, Shelly and Charity continue to make beautiful music spanning the sounds of folk, Americana and country, making them extremely attractive for my ears. Callaghan is another vocalist with a gorgeous voice and while this wasn’t the best environment for it to flourish, she optimised the moment to continue to spread the word about her wide appealing songs. One band also determined to capture the moment was Dexeter and they too were keen not to waste the opportunity to engage with an enthusiastic and populous gathering. Looking back at the programme, and reality dawns of how many other venues, set ups and artists were missed, but only a snapshot is practically viable. Outside of the two arena shows that were attended (Saturday was not really my cup of tea), the pop ups played a valuable part in making this a successful weekend as you have the choice of hitting them hard or accepting them as a casual backdrop. It was noted that many base their weekend entirely around the pop ups, although this would probably not warrant a lengthy journey. However the pop up fringe seems to set to play a regular role in the Country to Country Festival weekend and it is without doubt that the application line will be jammed in twelve months. To what extent they develop remains to be seen especially with the roll out to other venues within the O2 arena and specifically the continual evolution of Bob Harris's Under the Apple Tree project. Interesting times indeed.